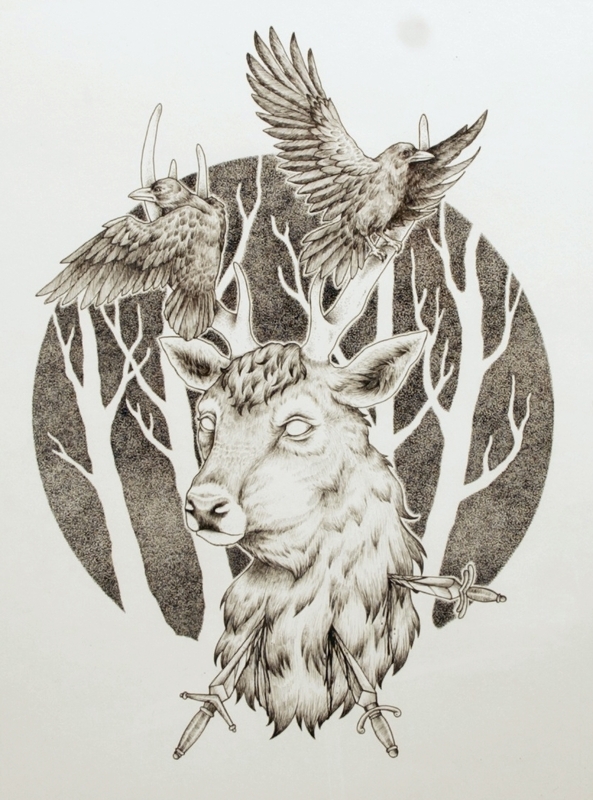 ATAK Gallery SF is pleased to present "LIGHT INK DEATH", an exhibition featuring pen & ink works by illustrators Shaun Beaudry, Hana Wolhf, Paul Jackson, and TLtv. On Saturday December 5th ATAK Gallery will host the full exhibition opening featuring all works from contributing artists from 7pm-late. 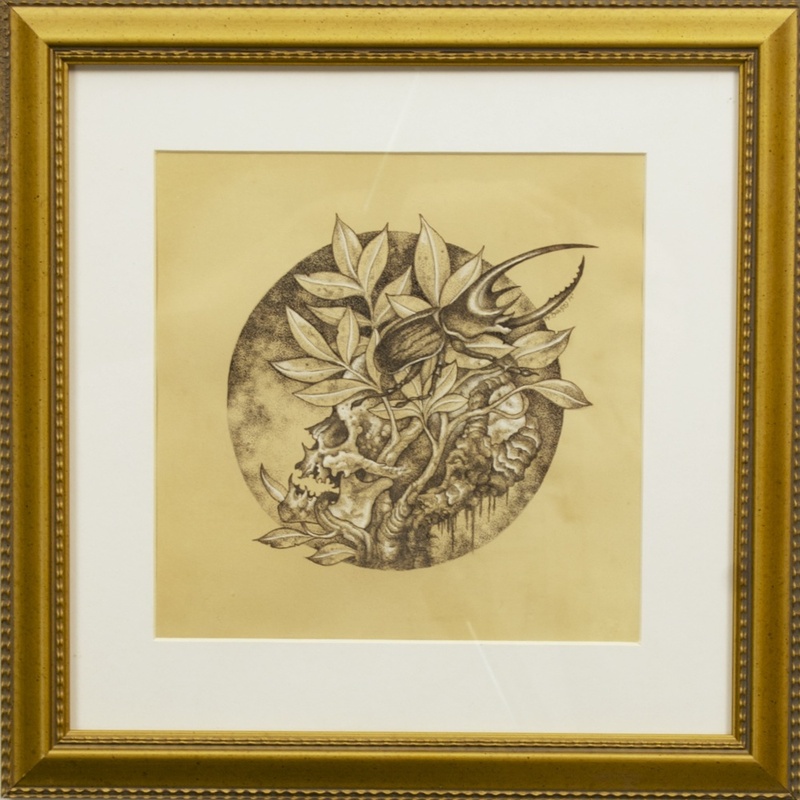 In this exhibition we specifically wanted to showcase the diverse and detailed nature of black ink use in creating imagery representing the light & death of the world that influences each illustrator. We asked each of the four artists to present their personal interpretation of the theme within their illustrations. All of the works shown are produced by means of pen and ink utilizing stippling, cross hatching, etc.